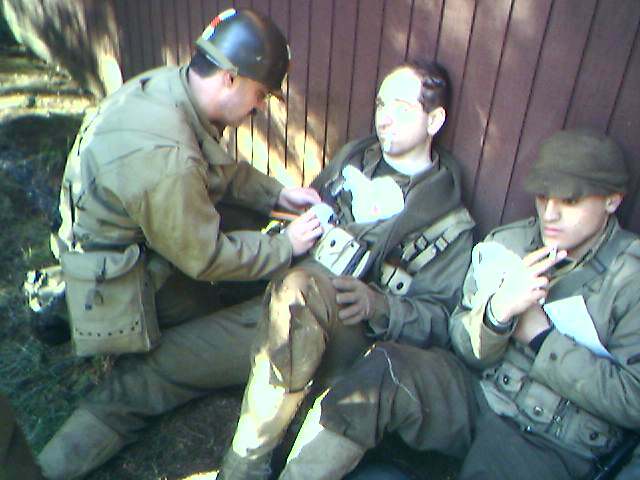 For a repository of WWII British infantry training information, click here. 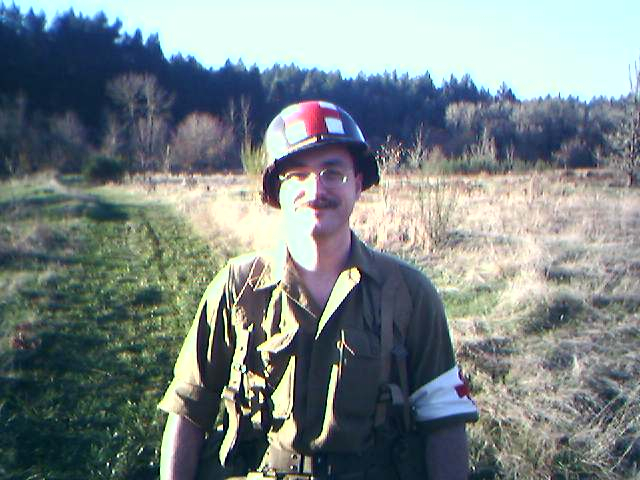 In addition to reenacting as a British WWII soldier, I also went out as an aidman (medic) with a unit representing Fox Co., 2/18, 1st Infantry Division. Patching up a few of the lucky ones.